This time last year, I was just starting to jump in on the wholesale side of my business, and I was prepping for four different artisan/vendor fairs and events. I wasn’t just a tiny shop, I was a teeny tiny shop – one with BIG ambitions. And lots of work to do! I always think I’m bigger than I am, and it works for me. This year is a bit different, and applications for festivals and fairs have come and gone. And I didn’t apply to a single one. Not that I don’t love being at them, or being part of the action. But honestly, I just don’t have time. I always said the goal is to NOT have to spend my weekends behind table, under a tent, hawking my goods. A year later: mission accomplished! One exception. The Handmade Pop-Up. It’s is a highly curated, online event that features artisans of all types from around the globe for a 12-day shopping experience. Last year, I just missed the spring popup and made note to check it out this year. I told myself I wasn’t going to do an event this spring and summer, but this one is different. It’s great for a few reasons; no setup or tent, no worries about weather, the length of the event is fantastic, and it’s a global marketplace. Even better, I can still be here working while the event is running, and I already fulfill lots of online orders, so it really is just an extension of that. Even better than that?? I’m offering an exclusive ring just for this event. 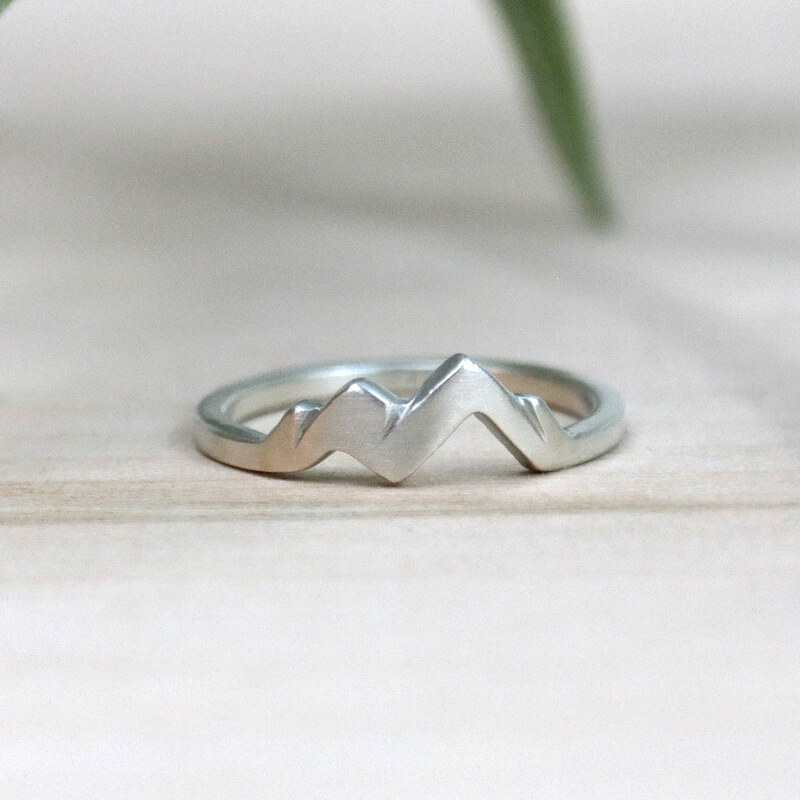 It’s a spin on the original mountain ring (the Mountains Calling ring), and it’s only available during the Handmade Pop-Up. 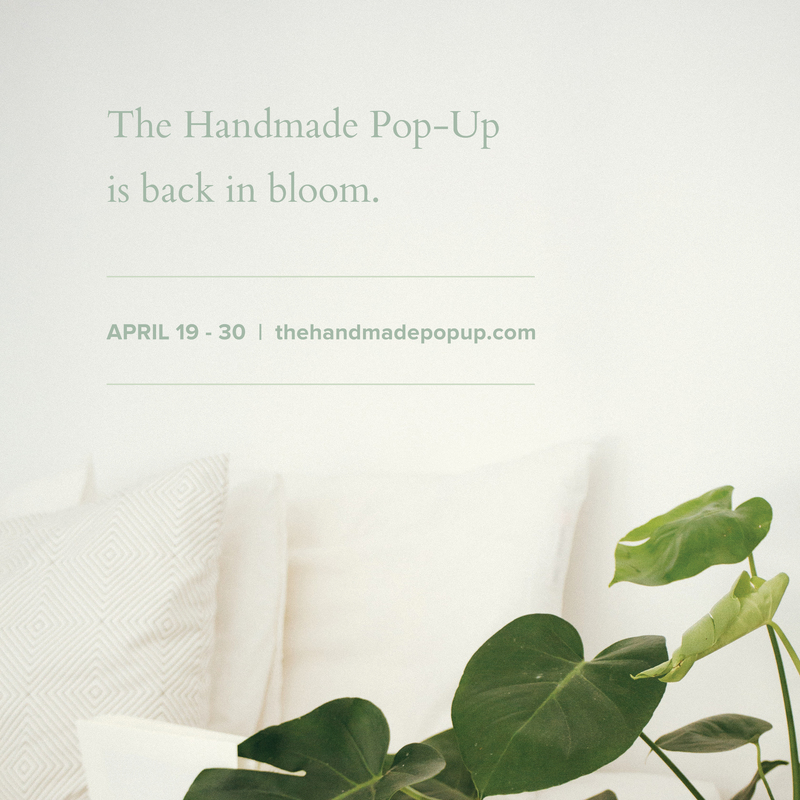 The Handmade Pop-Up is a curated online market featuring handmade goods from artists and makers around the world. Our mission is to knock down geographical barriers and create a global space where mindful folks can connect with quality handmade brands. Each event showcases a carefully curated collection of talent, selling handmade goods from art & prints, bath & beauty, clothing, ceramics, home decor, jewelry, and more. Join us for our spring event, in bloom April 19th – 30th.